The Mediterranean diet is revered for being healthy and delicious. 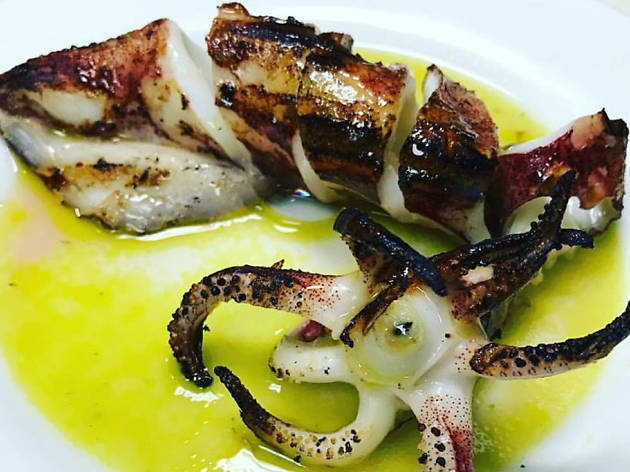 While diving into an order of hummus or a plate of grilled octopus isn’t a cure-all, heading to a Mediterranean restaurant for dinner is certainly a healthier option than much of the culinary competition. Fresh flavors of lemon, garlic, and olive oil satisfy, and even vegetarians will be happy at these spots. If you’re not feeling like Mediterranean but want to keep it light, check out the best vegan restaurants in Boston, the best vegetarian restaurants in Boston, or the best seafood restaurants in Boston. 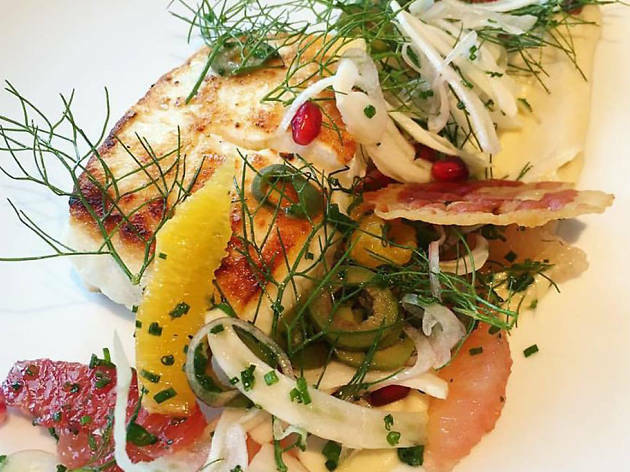 Ana Sortun’s take on Eastern Mediterranean cuisine opened many eyes to the fragrant flavors and seasonal ingredients of the region when Oleana debuted in 2001. The meze menu offers delicately-prepared and perfectly-spiced options for all palates, including sweet corn hummus, imam bayildi (baked eggplant), and spinach falafel. Entrees are packed with bright flavors. 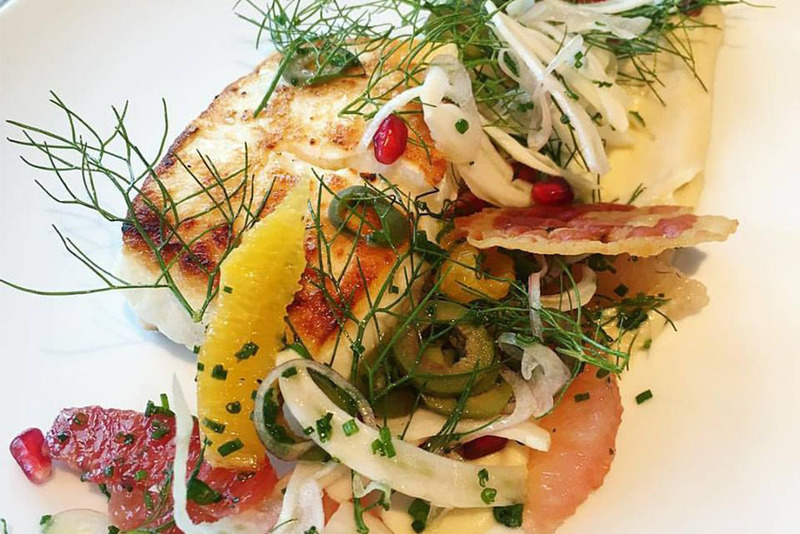 Try lemon chicken with za’atar and a Turkish cheese pancake or Arctic char with harissa tahini. Save room for homemade ice creams or bici bici (pink peppercorn milk pudding with blackberry, rose petal jam, cucumber granité, and pistachio). With more than 40 fresh, flavorful Mediterranean small plates and a wealth of options for vegetarians, this Oleana offshoot shines just as bright as the original. You’ll want to dine here with each seasonal change to see what new creations appear among the mehayne (bar) snacks, meze, sarma (like dolma), and shish. Dreamy offerings such as beef jerky with molasses and turkish spices, bluefish falafel, nectarine fattoush, black sea corn bread, or black sesame eggplant kebab will have you wanting more. Cocktails are a must as well, made with unusual ingredients like sumac, snap pea, Moroccan bitters, or grilled nectarine vodka. 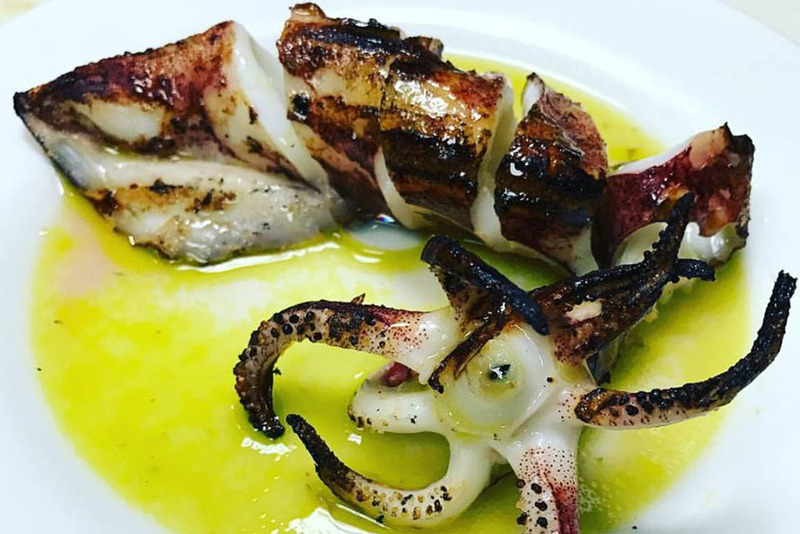 Jody Adams dives in with this seafood-centric, modern Mediterranean concept. Flavors are simple, and fresh ingredients stand out. Meze feature fresh, seasonal vegetables and tasty bites: fried eggplant chips with tzatziki, herbed falafel, grilled merguez sausage. Larger plates—including whole roasted branzino and grilled bavette steak—feature minimal but exceptional ingredients, highlighting natural flavors. Not in the mood for a full sit-down? Have a small plate or two at the bar, where classic cocktails—try a Greek Negroni or Kleos Collins—are given a Mediterranean twist. 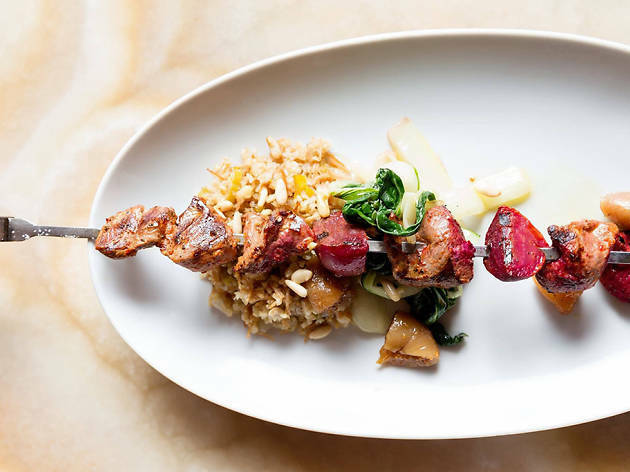 Oleana and Sarma’s smaller, more casual sibling is the just what you need to quickly satisfy a craving for thoughtful Mediterranean cooking. 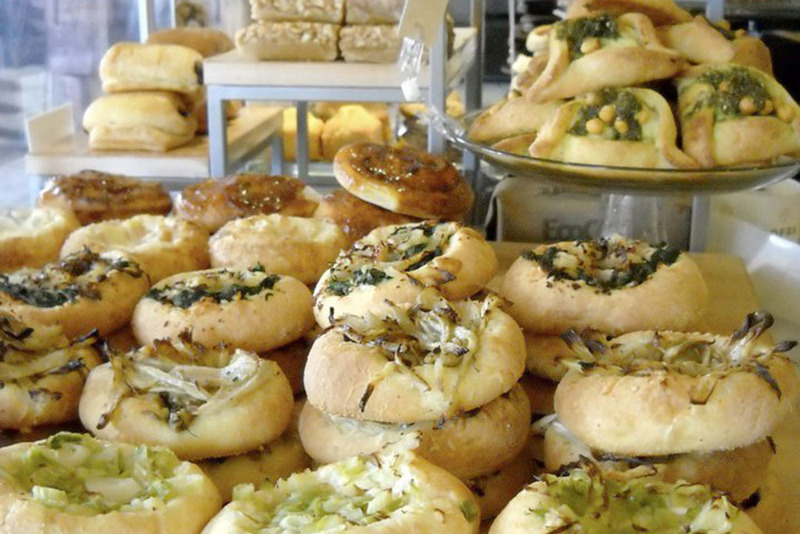 Turkish, Greek, and Lebanese treats are represented at this bakery/cafe. 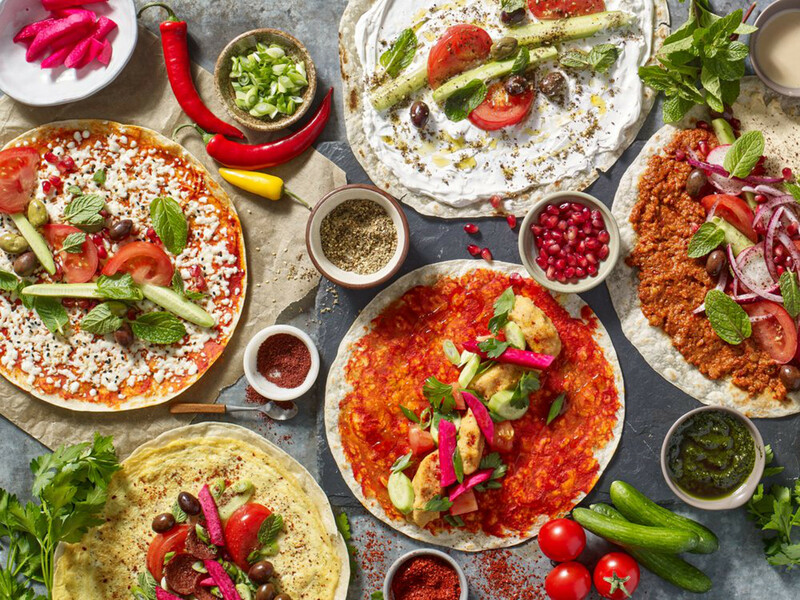 Gozelme and shawarma, börek and spanakopita, fatteh and fava…you might as well try them all. But save room for sweets, because the almond rose cake is heavenly, and the tahini-brown butter donut—only available on weekends—is a must. Any wait is worth it to dine on the Greek delicacies at this intimate tavern. 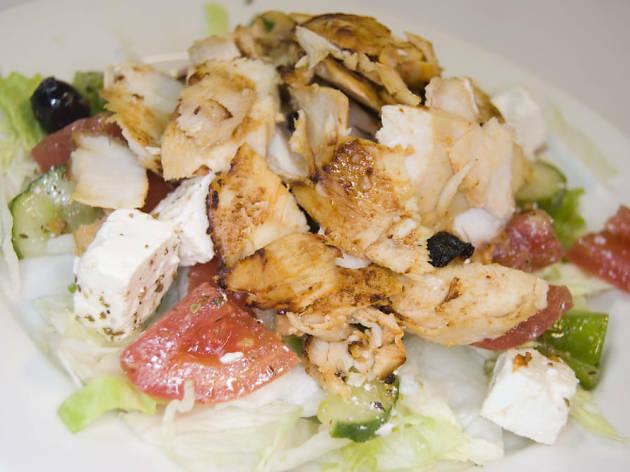 Most of the exceptional ingredients are imported directly from Greece, upping the authenticity of the fare. You can make an entire meal of the simple but superior mezedakia (small plates) including horiatiki (Greek country salad), spanakopita, gigandes beans, and imam (eggplant, tomato, onion, garlic, kasseri cheese). 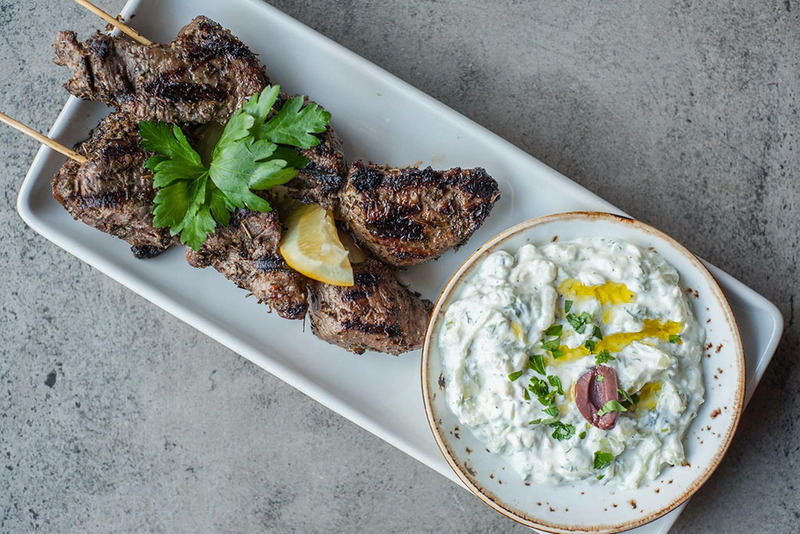 Grilled entrees are a must as well, including lavraki (Mediterranean sea bass) and a mixed grill of lamb, pork, chicken, and Greek sausage. Complete the experience with hard-to-find Greek wines and liquors. 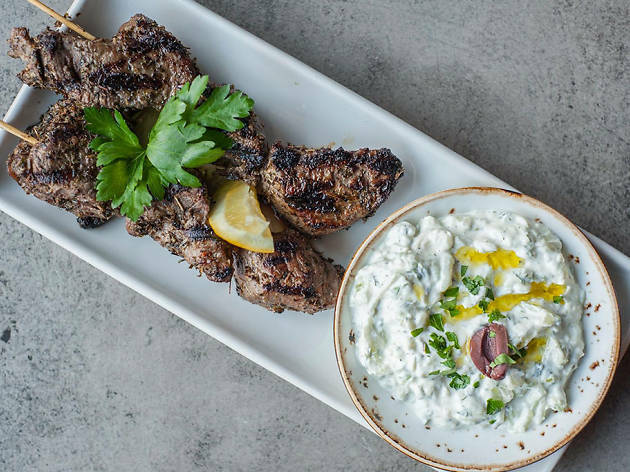 Head to the Seaport for contemporary Greek meze. Fresh ingredients drive the menu, which changes seasonally. Standards like tzatziki and hummus prove popular, but dishes such as artichoke moussaka, mango melitzanosalata (charred mango and eggplant), sea salt roasted beets, and halloumi with grapefruit and mint reflect the creative use of Mediterranean spices and techniques. 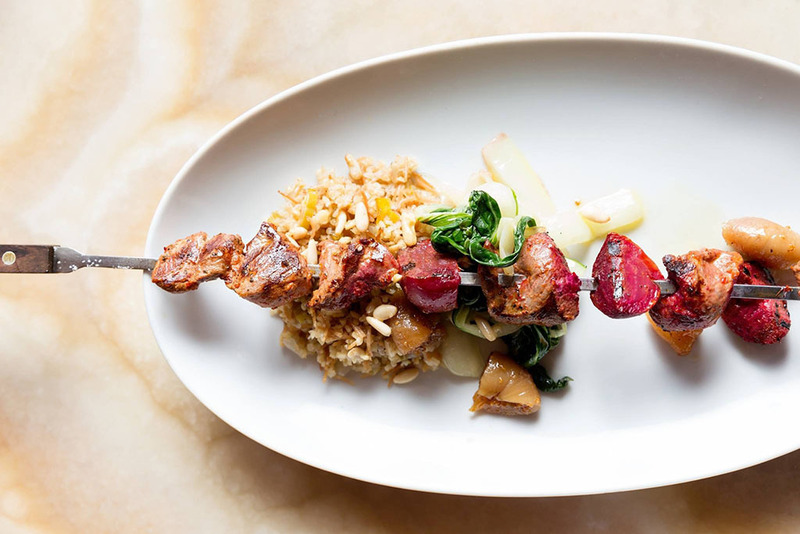 For heartier fare, try lamb tartare, chicken meatballs with smoked honey, or grilled meats by the pound. The wine list includes bottles from Greece and Lebanon, and the cocktails are as inventive as the food. Be sure to have a drink on the bustling patio. This family-run spot serves up exceptional Greek takeout in Roslindale. 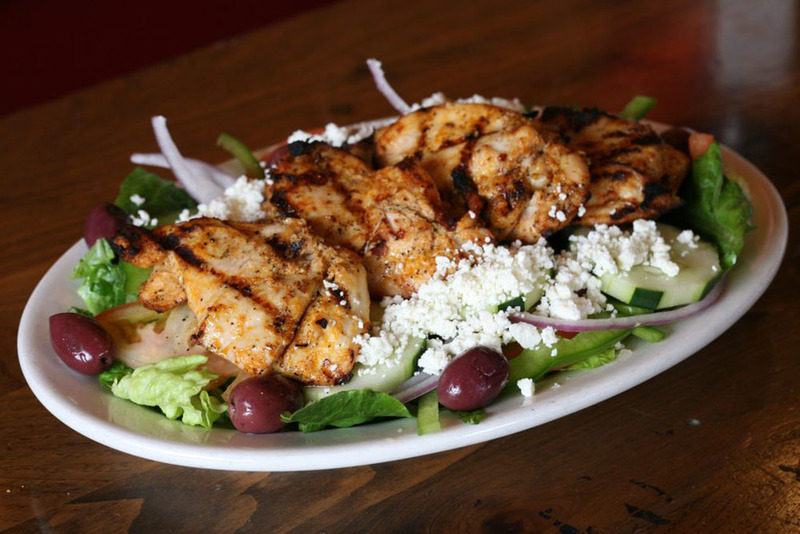 Flavorful meats are cradled in thick, warm pita, salads are overflowing with feta and chicken, tzatziki is prepared fresh in-house, and spinach pies are flaky and fresh. 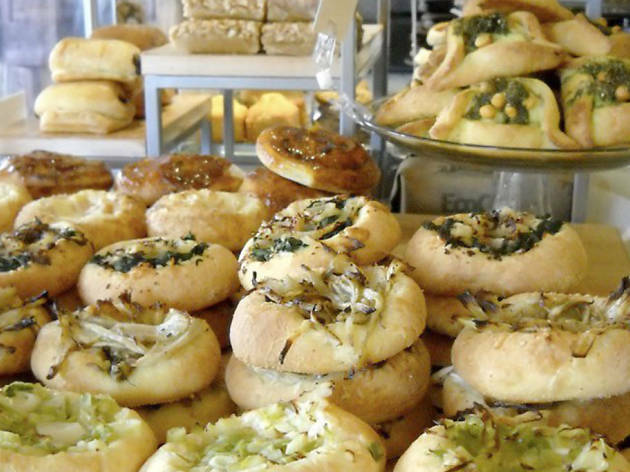 It’s solid Greek fare at affordable prices, so go ahead and enjoy some baklava, too. Gre.co serves up fast, fresh Greek street food with high-quality meats and locally-sourced veggies. 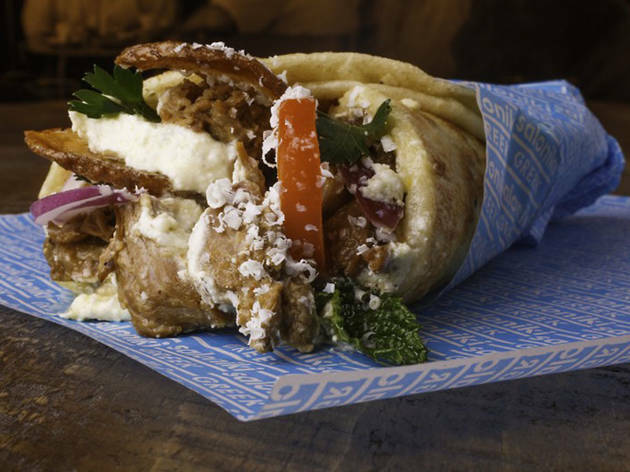 Gyros are the star; pick a classic like loukaniko (pork and leek sausage with mustard sauce) and bifteki (ground beef with spicy whipped feta), or customize your gyro with a choice of proteins and toppings, e.g. charred eggplant and tzatziki. Loukoumades (fried donut holes) are a must, whether the classic version with honey, walnuts, and cinnamon, or a next-level version like the “Troy Story” with peanut butter, snickers, and caramel. 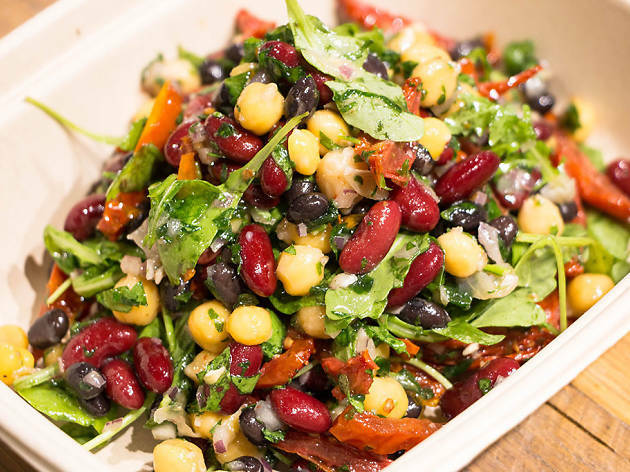 Another fast-casual, build-your-own spot, Dates and Olives impresses with locally-sourced veggies, sustainably-raised meats, and freshly-crushed spices. Top your base (pita, rice, or salad) with falafel, grilled veggies, or spiced meats, then top with a range of healthful items including hummus, pickled turnips, red cabbage slaw, or millet tabbouleh. Dips are fresh and delicious—try the muttabal (smoky eggplant) or muhammara (roasted red pepper). Finish up with a semolina cake or rice pudding. 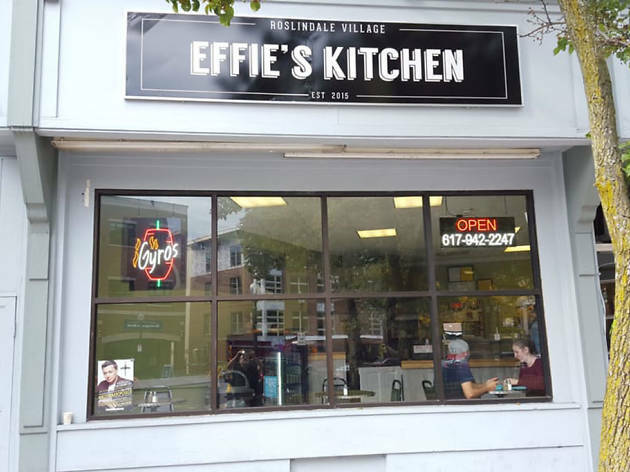 Bare-bones and under-the-radar, this family-run spot in Allston is a student favorite for Mediterranean takeout or a quick dine-in. Choose pita or saj for your beef or chicken shawarma; vegetarians will enjoy the falafel or halloumi pita sandwiches. Kefta burgers are an unconventional offering—made by an in-house butcher and topped with homemade halloumi cheese. Plates and salads offer a more filling option, and don’t miss sides like the artichoke salad, spicy potatoes, and tabouleh. 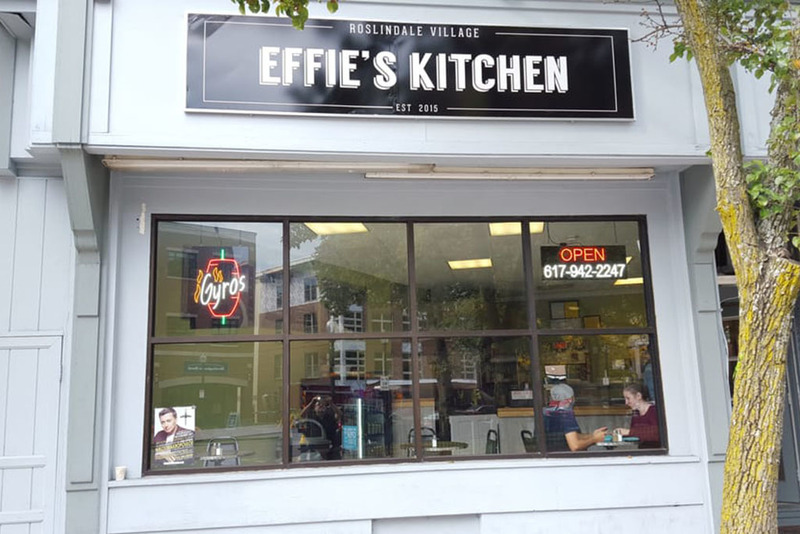 A colorful mix of Mediterranean and Middle Eastern dishes are served throughout the day, catering to South End residents in search of a quick, healthy meal. Warm, thin flatbreads are used to scoop up flavorful dips and spreads made from local, organic ingredients. A customizable menu ensures customers can combine whichever flavors they like. 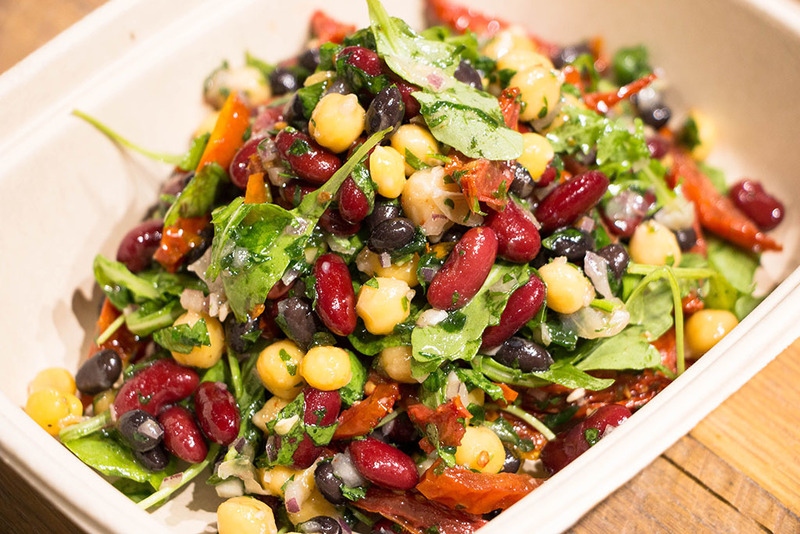 Salads and grain bowls delight the medical professionals who pop in for a healthy meal. Jody Adams tackles the Greek takeaway shop with this fast-casual outpost in the Fenway. 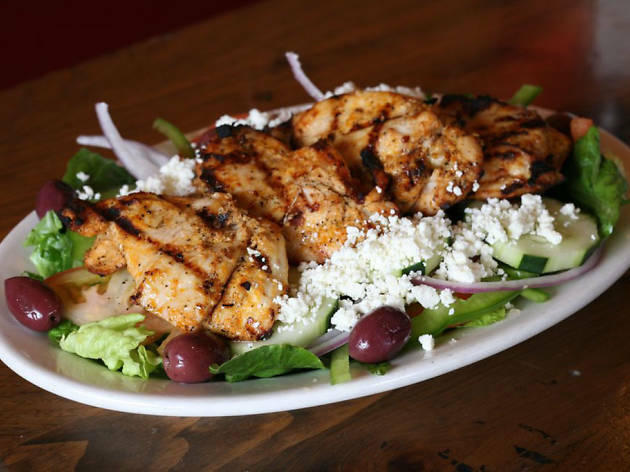 The straightforward Greek fare is elevated by fresh, locally-sourced ingredients. 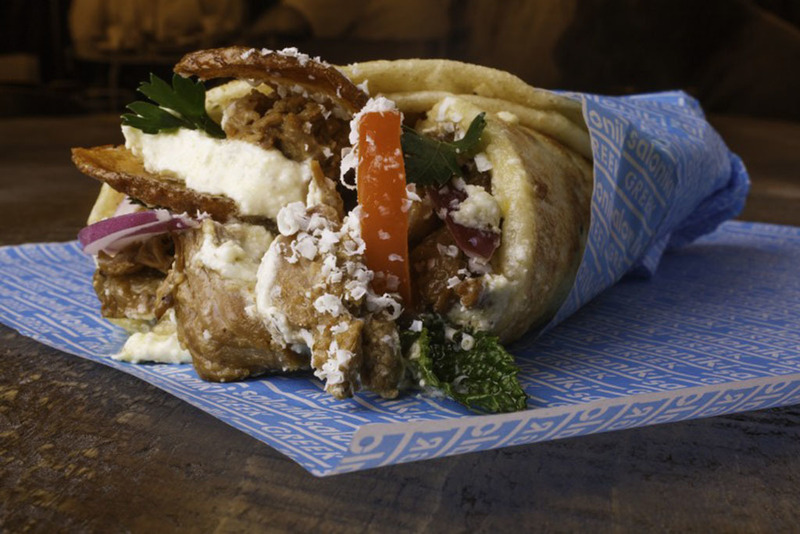 Build your own rice plate or choose a classic pita, fancied-up with proteins such as lemon-oregano chicken or braised honey-garlic pork shoulder, plus standout toppings including charred eggplant and spicy whipped feta. There’s even a vegan option with roasted pomegranate-glazed eggplant. 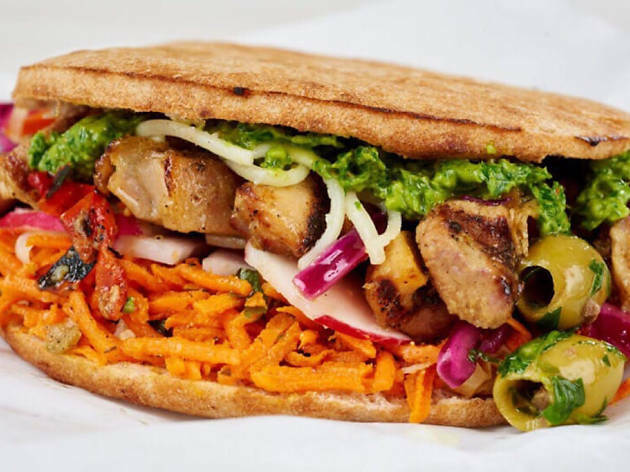 If it’s not already, South End Pita is a worthy candidate for your favorite falafel spot. The straightforward menu of classics is done right—combo plates and roll-ups with falafel, kafta, shawarma, and kebab. 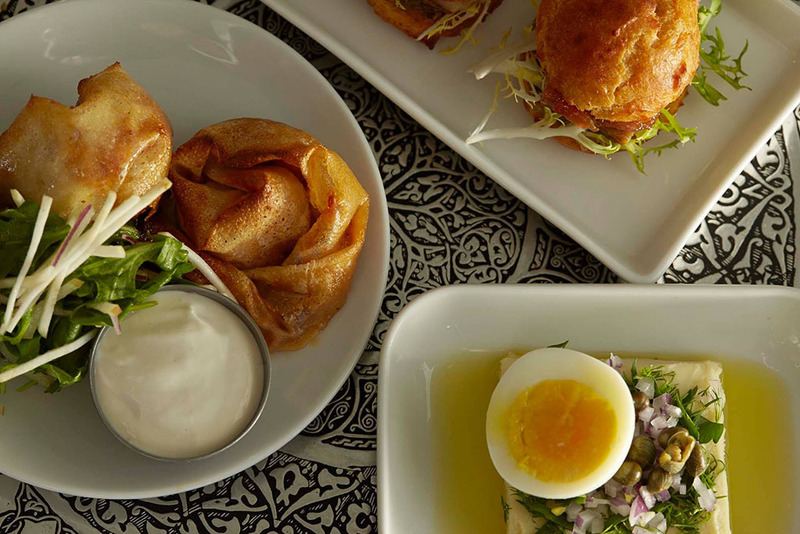 The menu boasts the kitchen takes its hummus seriously, and it shows. And what’s that, burgers? 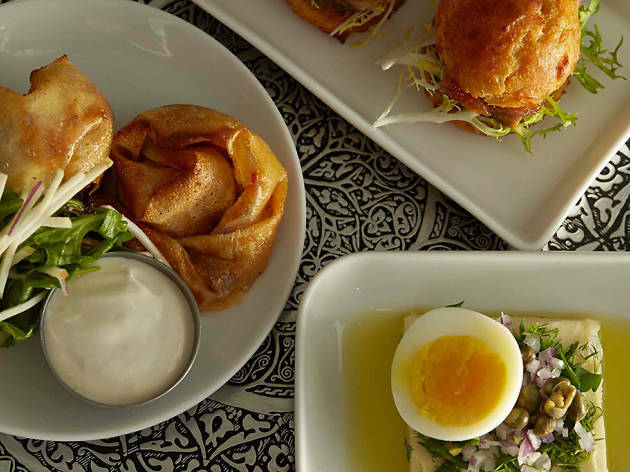 This unexpected offering is worth a try; the Moroccan beef burger and lamb burger are well-spiced with Mediterranean flavors. 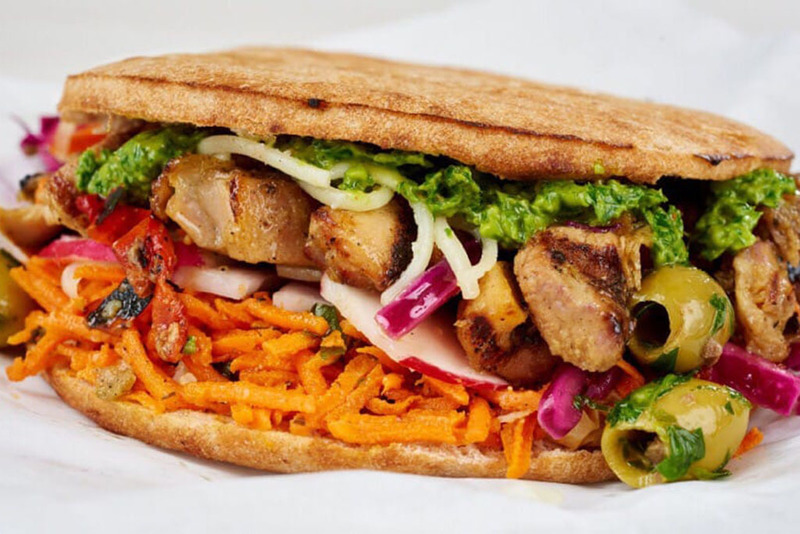 The Chicken and Rice Guys now have a fleet of trucks, popups, and brick-and-mortar spots, a testament to their fresh, fast halal street fare. Inexpensive, filling, and flavorful, the simple approach is great for a quick lunch, and there’s a vegetarian option too. 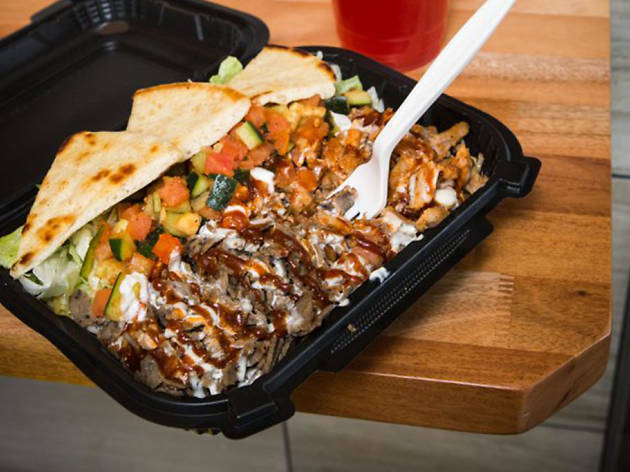 Choose a rice plate or salad plate, a protein (chicken, lamb and beef gyro, or baked tofu), and a sauce (creamy garlic, bbq, mint/cilantro/jalapeno, or hot). Add hummus, pita chips, and a baklava, and you’re all set.